The overarching objective of Derek's research program is to enhance and improve both the sustainability of water resources (water quantity and water quality) and the profitability of agricultural production in Nebraska and the Great Plains. His current research interests include sprinkler irrigation, variable rate irrigation, irrigation management based on remote sensing, international irrigation development, and vadose zone hydrology. The objective of his teaching program is to prepare students to be wise managers of irrigation, water resources, and agricultural systems. He is focused on irrigation education at both the graduate and undergraduate levels. Derek is the Partnership Coordinator for the partnership between the Daugherty Water for Food Global Institute (DWFI) and the IHE Delft Institute for Water Education, Delft, the Netherlands, which includes a double degree program (M.S.) in Advanced Water Management for Food Production. 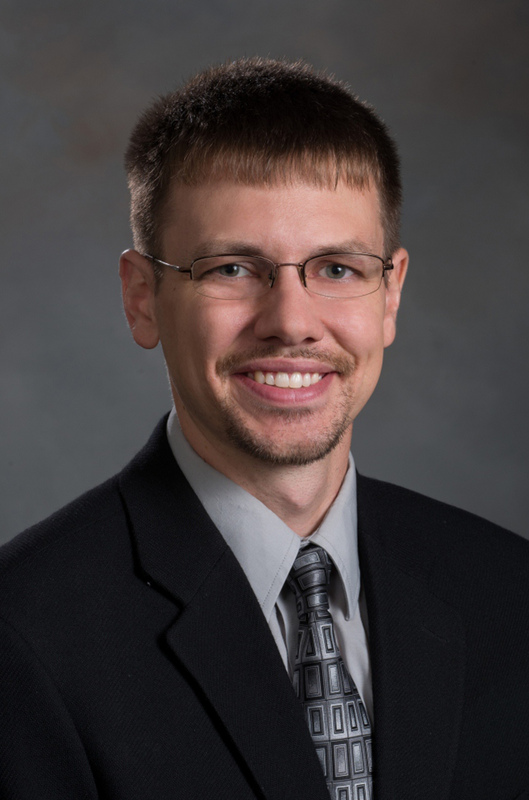 Before starting his research and teaching career, Derek spent two years working at a civil engineering firm in the St. Louis, Missouri, area. Derek grew up on a farm in southeastern South Dakota and developed an interest in conserving natural resources while participating in FFA land judging and natural resources competitions. A. W. Farrall Young Educator Award. 2018. Amercian Society of Agricultural and Biological Engineers. Distinguished Alumnus Award. 2017. Department of Agricultural and Biosystems Engineering, South Dakota State University. Honoree, recognized for performing highly impactful research. 2017. UNL College of Engineering. ASABE Superior Paper Award. 2016. For the refereed journal article: Heeren, D. M., G. A. Fox, and D. E. Storm. 2015. Heterogeneity of infiltration rates in alluvial floodplains as measured with a berm infiltration technique. Transactions of the ASABE 58(3): 733-745. New Faces of Engineering recognition by the American Society of Agricultural and Biological Engineers. 2012. U.S. Environmental Protection Agency (EPA) STAR Graduate Fellowship. 2011-2012. Lo, T., D. R. Rudnick, B. T. Krienke, D. M. Heeren, Y. Ge, and T. M. Shaver. 2019. Water effects on optical canopy sensing for late-season site-specific nitrogen management of maize. Computers and Electronics in Agriculture 162: 154-164, doi: 10.1016/j.compag.2019.04.006. Mendes, W. R., F. M. U. Araújo, R. Dutta, and D. M. Heeren. 2019. Fuzzy control system for variable rate irrigation using remote sensing. Expert Systems with Applications 124: 13-24, doi: 10.1016/j.eswa.2019.01.043. Barker, J. B., D. M. Heeren, K. Koehler-Cole, C. A. Shapiro, H. Blanco-Canqui, R. W. Elmore, C. A. Proctor, S. Irmak, C. A. Francis, T. M. Shaver, and A. T. Mohammed. 2018. Cover crops have negligible impact on soil water in Nebraska maize-soybean rotation. Agronomy Journal 110: 1-13, doi: 10.2134/agronj2017.12.0739. Freiberger, R. P., D. M. Heeren, D. E. Eisenhauer, A. R. Mittelstet, and G. A. Baigorria. 2018. Tradeoffs in model performance and effort for long-term phosphorus leaching based on in situ field data. Vadose Zone Journal 17:170216, doi: 10.2136/vzj2017.12.0216. Barker, J. B., D. M. Heeren, C. M. U. Neale, and D. R. Rudnick. 2018. Evaluation of variable rate irrigation using a remote-sensing-based model. Agricultural Water Management 203: 63-74, doi: 10.1016/j.agwat.2018.02.022. Barker, J. B., C. M. U. Neale, D. M. Heeren, and A. E. Suyker. 2018. Evaluation of a hybrid reflectance-based crop coefficient and energy balance evapotranspiration model for irrigation management. Transactions of the ASABE 61(2): 533-548, doi: 10.13031/trans.12311. Finkenbiner, C. E., T. E. Franz, J. Gibson, D. M. Heeren, and J. D. Luck. 2018. Integration of hydrogeophysical datasets for improved water resource management in irrigated systems. Precision Agriculture, doi: 10.1007/s11119-018-9582-5. Miller, K. A., J. D. Luck, D. M. Heeren, T. Lo, D. L. Martin, and J. B. Barker. 2018. A geospatial variable rate irrigation control scenario evaluation methodology based on mining root zone available water capacity. Precision Agriculture, doi: 10.1007/s11119-017-9548-z. Barker, J. B., T. E. Franz, D. M. Heeren, C. M. U. Neale, and J. D. Luck. 2017. Soil water content monitoring for irrigation management: A geostatistical analysis. Agricultural Water Management 188: 36-49, doi: 10.1016/j.agwat.2017.03.024. Lo, T., D. M. Heeren, L. Mateos, J. D. Luck, D. L. Martin, K. A. Miller, J. B. Barker, and T. M. Shaver. 2017. Field characterization of field capacity and root zone available water capacity for variable rate irrigation. Applied Engineering in Agriculture 33(4): 559-572, doi: 10.13031/aea.11963. Heeren, D. M., G. A. Fox, C. J. Penn, T. Halihan, D. E. Storm, and B. E. Haggard. 2017. Impact of macropores and gravel outcrops on phosphorus leaching at the plot scale in silt loam soils. Transactions of the ASABE 60(3): 823-835, doi: 10.13031/trans.12015. Lo, T., D. M. Heeren, D. L. Martin, L. Mateos, J. D. Luck, and D. E. Eisenhauer. 2016. Pumpage reduction by using variable rate irrigation to mine undepleted soil water. Transactions of the ASABE 59(5): 1285-1298, doi: 10.13031/trans.59.11773. Miller, R. B., D. M. Heeren, G. A. Fox, T. Halihan, and D. E. Storm. 2016. Heterogeneity influences on stream water-groundwater interactions in a gravel-dominated floodplain. Hydrological Sciences Journal, doi: 10.1080/02626667.2014.992790.